Our experienced team of hair and beauty experts at Salon Amissa is committed to nothing short of excellence. We are constantly upgrading our skills with continuous training on the latest techniques and products in the beauty industry and we're always learning new techniques while perfecting the classics. We take pride in being up-to-the-minute with our knowledge of hair and beauty fashions, so you'll always look "right now" when you need to. We are the best in Rochester. Bring us pictures of styles and looks that inspire you and we will make magic happen. We will listen to your ideas and customize the ideal look for you. We make sure your style is one that you can maintain at home on a daily basis if needed. You will feel like part of the family when you are visiting us. We value your business and your friendship! 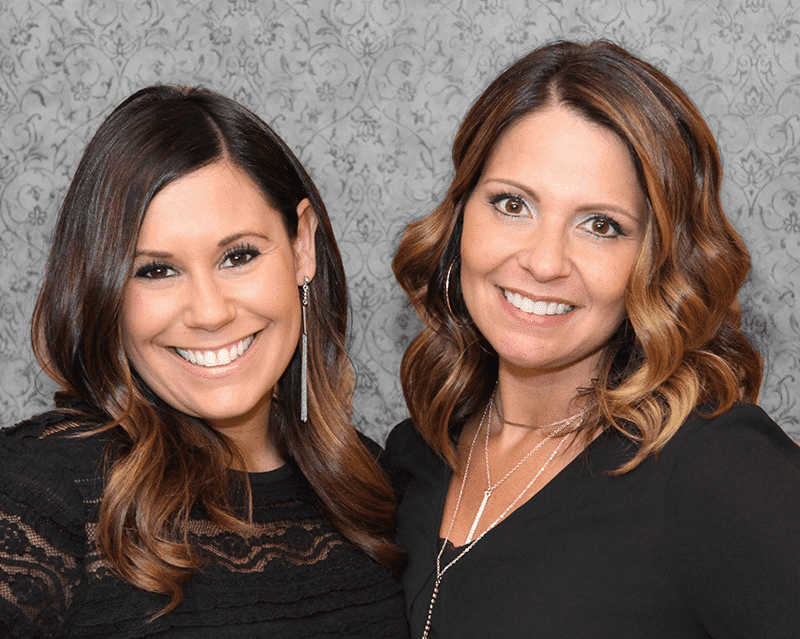 Best friends originally created Salon Amissa in 2004. Striving to establish an atmosphere "where good friends gather,"
owners Michelle Mul‌é and Sabrina Flugel invite "all who enter as guests, leave as friends."